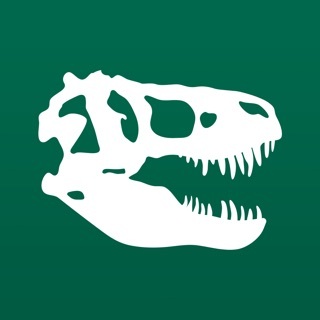 Download Explorer for a new way to experience the American Museum of Natural History (AMNH) in New York City! Enjoy behind-the-scenes stories about exhibits, captivating interactives, stimulating quizzes and more. "Lots of fun facts, videos, and teaching tools for some 70 of the most compelling items on display." "Guides you GPS-like to exhibitions it recommends you see based on your input." "Very helpful if you are looking to find the bathroom or the cafe." - Your journey is up to you! 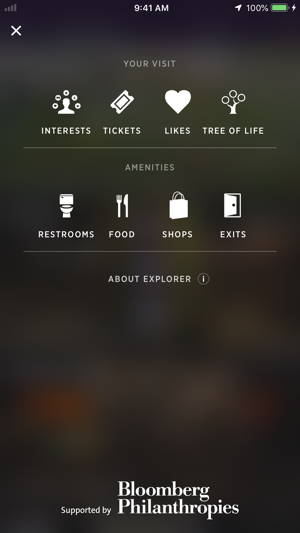 Select your interests and Explorer will organize your list based on how close you are to your favorite exhibits. - Uncover evolutionary relationships between species by testing your understanding of how mammals are related, in the Tree of Life featured experience. - Purchase tickets in Explorer and skip the line. Already have tickets? Link them to Explorer using your order ID. 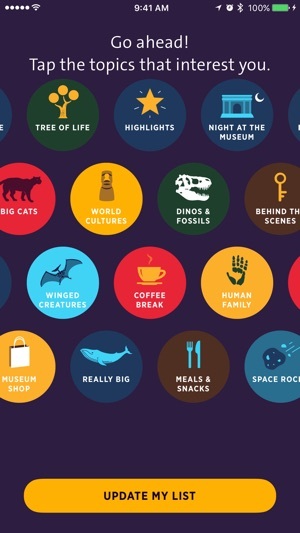 - Explore amazing worlds and unlock the secrets of the Museum from anywhere – home or inside the Museum! View iconic exhibits from the Museum’s world-famous halls. 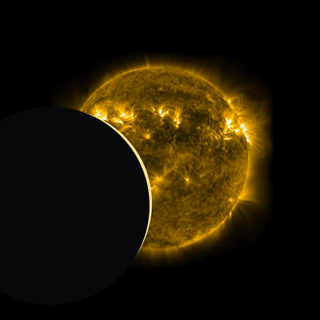 - Discover new exhibits, go behind the scenes, and dive deeper with videos, quizzes, and more. - Share highlights from your visit on Facebook, Twitter, and more. 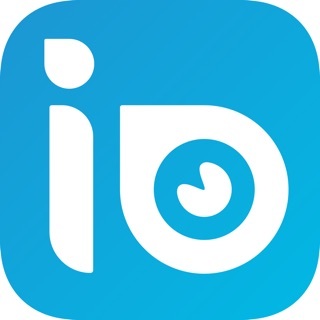 - Take a selfie and share your adventures on social media. - Visiting the Museum? Explorer provides turn-by-turn directions from any location, from the edge of the universe to the age of the dinosaurs, plus the shortest route to restrooms, shops, cafes, and exits. How does Explorer know where you are? The Museum has placed more than 700 Bluetooth beacons throughout its 45 permanent halls. These tiny beacons give off signals that your phone can detect (when Bluetooth is enabled). Your phone calculates your position based on detecting three of these beacons simultaneously. This triangulation is not always perfect, especially in certain areas like large, multi-level halls, meandering walkways, or stairwells. Your phone should be able to detect the hall that you are in and provide turn-by-turn directions, but sometimes the “blue dot” is not exactly in the right place. In some rare cases it will even be missing. Moving to another area and waiting a few moments will usually fix the issue. 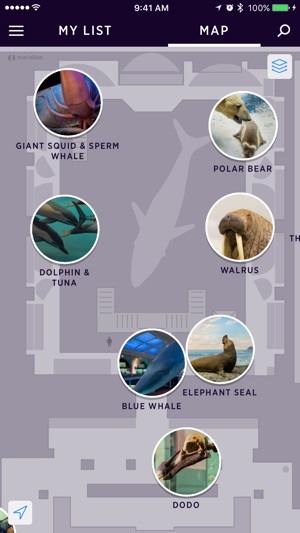 The Museum’s free AMNH-Guest Wi-Fi also varies in strength throughout the complex. Certain materials and large exhibits (i.e. the Blue Whale) either absorb or reflect the radio signals used by Wi-Fi, further complicating this technology. If you experience difficulty connecting to Wi-Fi in a particular part of the Museum, you can usually fix the issue by moving a short distance away. NOTE: Bluetooth must be turned on for full functionality. Continued use of GPS running in the background can dramatically decrease battery life. Now available in French—just set your device to French! Go to Settings, General, Language & Region. 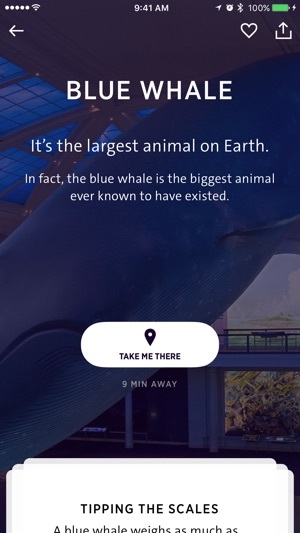 I got this app so I could at all costs STAY AWAY FROM THE BLUE WHALE MODEL. Whales scare me so badly, and I needed to know how I could stay as far away as possible from it. But my family wanted to see it, so I walked with them up to where the exhibit starts, so I could not see it. This app helped me know how close I was getting to it, since it tracked my steps real time. It was spot on accurate to my location in the museum. I'm rating it five stars since it saved me from having a heart attack in public. Also the other stuff in the app works great. I’ve downloaded my share of museum apps since I frequent many museums. This is by far the best museum app I’ve downloaded. The best feature is indoor maps. Enable WiFi (you may need to connect to their WiFi) and Bluetooth and the app will show you your location within the museum. It will also guide you turn by turn to get to a specific exhibit/area to a museum. This is especially useful since the museum is cavernous and it’s easy to get lost. The tidbits of information about exhibits is neat too! Love this app! Thank you for downloading Explorer! We are glad to hear that it helped you navigate the Museum! 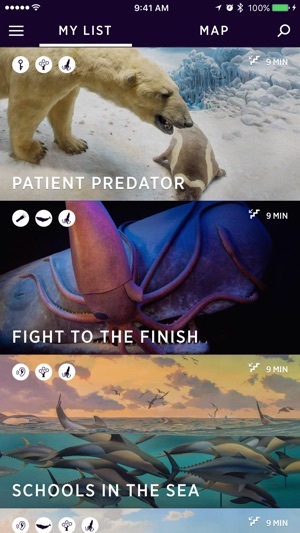 This app is a MUST if you are going to the American Museum of Natural History. Not only does it give you turn by turn and visual directions INSIDE THE BUILDING to what you want to see next. It also lets you digitize your tickets. The ONLY flaw keeping it from being perfect is that it doesn’t save a digital membership card. Give me that and I will change this to 5 stars. Thank you for your feedback. We are glad that Explorer helped you find your way inside the Museum! Additionally, we are working to support digital membership cards soon.